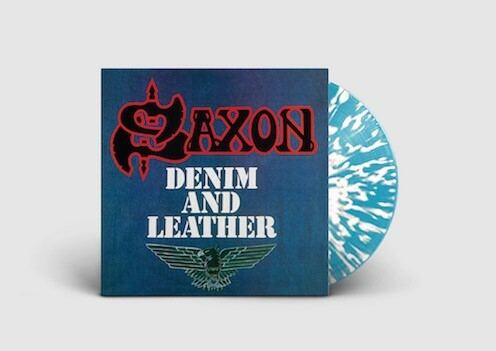 DELUXE REISSUES OF ‘DENIM AND LEATHER’, ‘POWER & THE GLORY’ AND ‘CRUSADER’ AFTER THE FIRST THREE RELEASES (‘SAXON’, ‘WHEELS OF STEEL’ AND ‘STRONG ARM OF THE LAW’) ALL BREAK INTO THE OFFICIAL UK ROCK TOP 40! Saxon, over the decades have gone from being pioneers of the New Wave Of British Heavy Metal, to becoming one of the most successful UK rock acts of all time. From 1979’s ‘Saxon’ album to new album ‘Thunderbolt’, the band have enjoyed considerable success. Five Top 40 albums in the UK, with four Top 20 singles. And they were similarly successful in other parts of the world as well. It’s no wonder their influence spread across the globe, and played a crucial role in the way we look at hard rock and heavy metal today.